Happy Monday sweet friends! We just wrapped up another fun filled weekend full of sports and kids activities. It's so much fun to watch our kids compete and come home each night with huge smiles on their sweaty faces. But, we would be lying if we didn't say it was a little exhausting. Long gone are the lazy Sundays sleeping in late. Now we pop up almost earlier than we do for school, each grab a kid and rush out the door. 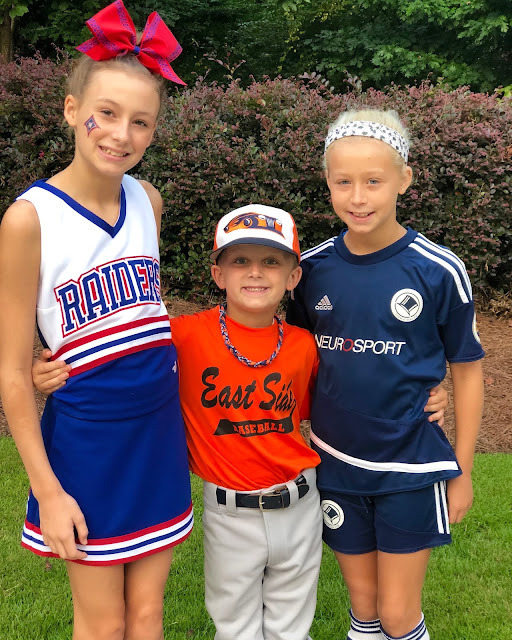 Sometimes we meet in the middle to cheer all of them on before heading to the next game time location, but most times weekends require an act of logistics the Pentagon would be proud of. Our kids are none the wiser of our exhaustion though. They are happy, thriving, and soaking up each moment of this part of their childhood. 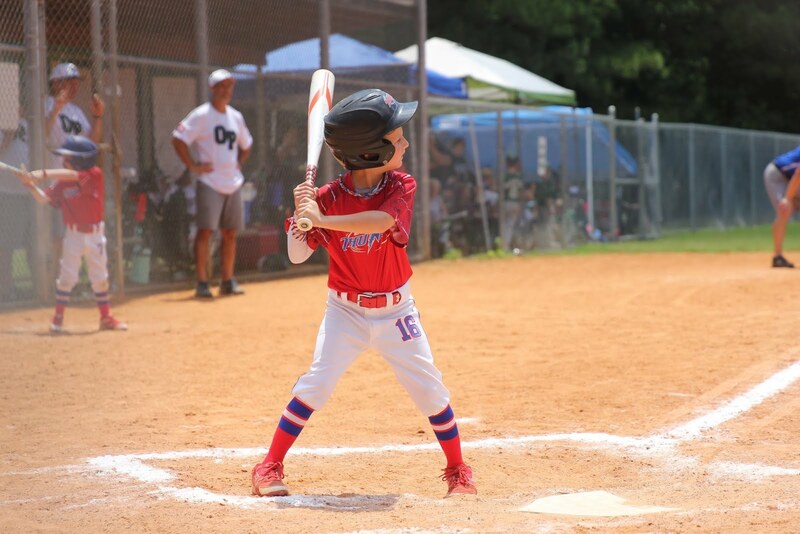 Sure there are down moments, or moments of frustration and stress, but overall, they love their activities with such a passion that it's all worth it in the end. We get asked all the time how we balance it all. How do we manage three kids, all in different activities, and stay sane? How do they balance it all? How are they not over tired? Stressed? The answer...we don't really have one. The demands in school are high and increasing each year. Throwing in extracurriculars can be a lot. Throw in multiple extracurriculars, or elite level sports, and you are talking a whole different level of challenge. We ultimately let our kids guide us. 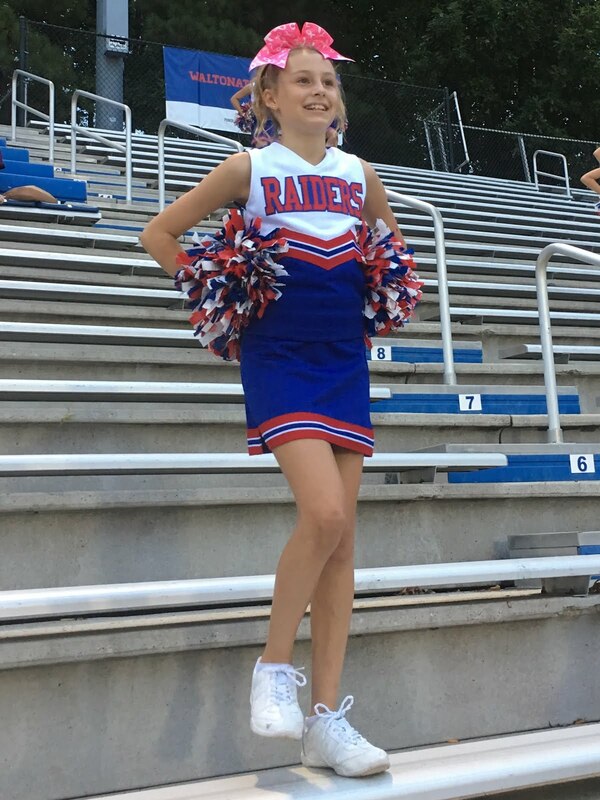 We check in with them often, monitor their emotions and school grades routinely, and never have a problem tuning into the backseat carpool conversations they don't think we hear over Taylor Swift blasting on our speakers. Sometimes we get life wrong. As moms we question ourselves often if we are making the right decisions for our tiny little humans, but we've founds some tips and tricks along the way to make this stage of life as stress-free as possible for our kids. Here's a few tips we have for battling the sports burnout, but we'd love to hear your thoughts too! Let them choose. First and foremost, let you kids choose what sports and activities interests them. Speaking with other parents, and from personal experience, kids all naturally gravitate towards certain activities. Let them choose what they want to participate in rather than what you enjoyed as a kid/have an interest in now/had dreams of. The more interested in the activity, the more confident they will be as well as more invested. They will naturally set their own goals, and it's so rewarding to see when they accomplish them on their own accord. Play one on one. Nothing is more fun to a kid than getting to getting to show off their skills one on one. Let them choose the activity (promise they will choose something in their wheel house! ), and work with them one on one with no pressure. They will think it so much fun beating mommy at a personal home run derby or a goal kicking shootout. It also gives you a chance to have an open conversation about their activity. You can chat one on one about their goals, anything that's bothering them, or monitor if something is hurting them you might not have seen before. Fuel the fun, and their bodies. Give them good fuel - not just during halftime or before the game, but all the time! Let their bodies build the energy it needs by give them great meals and snacks as often as you can. We try to keep quality filling snacks on hand all the time. Let's be honest, kids eat non-stop, and they can kill a bag of Goldfish faster than you can blink. But, we found protein packed snacks or ones with a little more substance go a longer way. 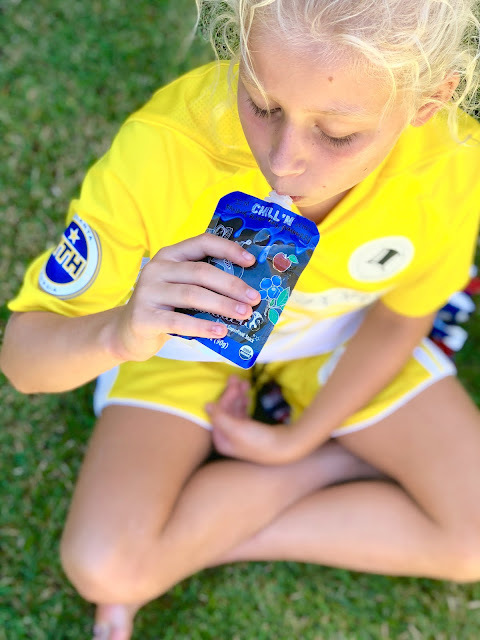 These Slammers pouches top our list. They are packed with tons of protein, contain organic ingredients, and have full servings of fruit and veggies. Our kids love their yogurt-like texture, and they are so easy to have on hand for grab and go snacking. You can find them at most major grocery retailers or snag them here. 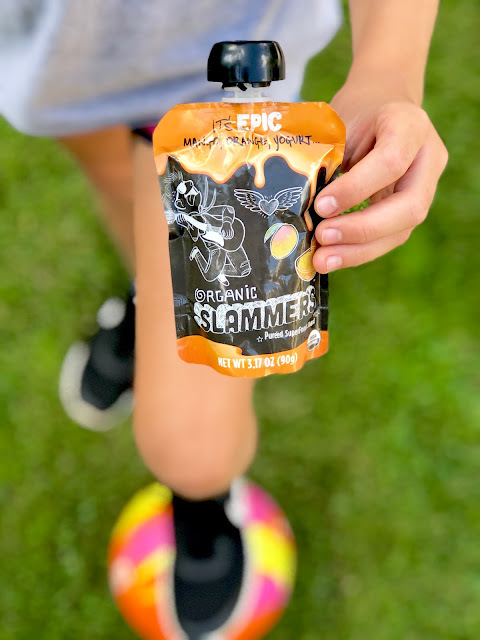 Slammers are by far one of our favorite pouch snacks. Other favorite snacks to have on hand include peanut butter to-go cups, cheese/pretzel/apple snack packs you can find in the refrigerated section of the grocery store, and smoothies. Encourage off the field play. 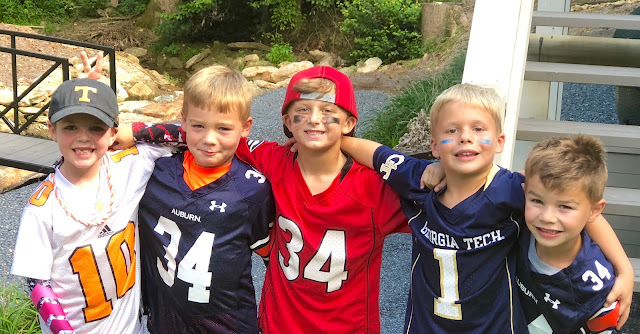 One thing about being part of the team is that you instantly have a handful or more of children who have at least one thing in common (and so do the parents!). Encourage off the field socializing. Even if that is as something as small as an after game ice cream stop, or as big as hosting the team for a random weekend pool party. Take the time to facilitate the relationships with teammates outside of the game. It's amazing how excited your little athlete will be to know they always have a friend they can chat with about their same interests. Some of our little one's teammates are some of their closest friends, even if they don't go to the same school. Night, night. Sleep tight. You've heard it a million times before, but getting good sleep is way important. Nothing is worse than a tired, cranky child. And we can guarantee that if your little athlete is over tired, they are not going to want to do much of anything, let alone continuously do something that is burning all the remainder of their energy. So tuck them in early and often!